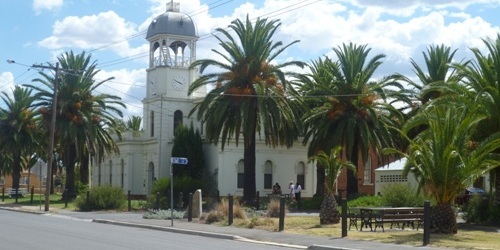 Inglewood Primary School is a small school situated in the historic township of Inglewood in north central Victoria. 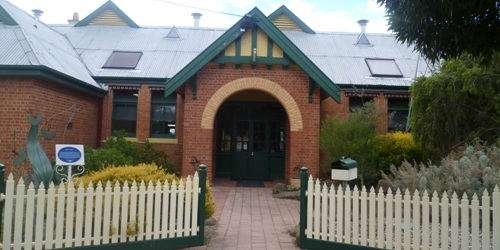 One of town’s most iconic buildings, Inglewood Primary School was built in 1870 and was a Prep to Year 12 school until 1982, when it reverted to becoming a primary school. The school underwent a complete renovation almost 10 years ago, through State and Federal funding, to provide three modern, open learning spaces that cater for flexible groupings of students. We pride ourselves on having a mix of traditional teaching methods and modern technologies to aid students’ learning. In 2018 we will have state-of-the-art laptop computers and IPads. This will ensure our learners become global citizens, who develop an understanding of their local, national and global communities. The school has expansive grounds for outdoor learning and play. The school has a current enrolment of 45 students, with a principal, 3.3 full-time teaching staff, education support officers, a chaplain and a part time office manager. Additionally, we have a visiting Indonesian language teacher and a visiting librarian. In the past 18 months we have grown in size from 24 students to 45 students. As a result of this, in 2018 we will run three classes for the first time in a number of years. This flexibility provides us with exciting curriculum opportunities for all learners and we can ensure that our learners will be taught at their point of need. 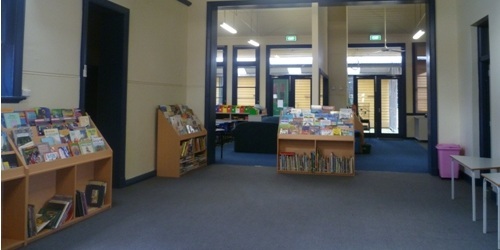 Inglewood Primary School fosters the connection between home and school, with parents being encouraged to participate in the education of their children. We have a strong School Council and a dedicated Parents and Friends group that actively supports the school and its programs. We have a strong network of volunteers and local community organisations, who assist us in many ways, to ensure our learners have the best possible opportunities to develop into positive and productive citizens. The school has a strong focus on establishing positive behaviours through the implementation of the 'School-Wide Positive Behaviour Strategy', where students are recognised and rewarded for meeting the expectations under the values of 'Respect Yourself', 'Respect Others' and 'Respect The Environment'. Our chaplain works with students and families to provide assistance when needed and to build a sense of resilience and well-being. 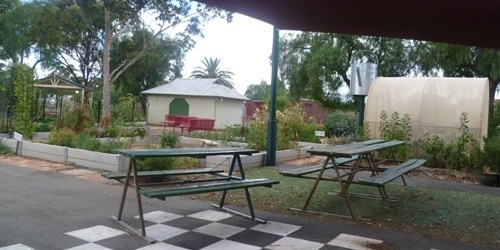 The school is also fortunate to have a kitchen garden program operating, which provides valuable learning experiences in the growing, harvesting, preparing and eating of fresh and healthy produce each week. We are also a member of a network of local rural schools that combine to provide sporting and cultural opportunities for all the children throughout the year. The school plans extra curricula activities regularly, such as the swimming program, Sporting Schools program, gymnastics program, school camps, excursions and family involvement days. In addition, our Year 5-6 students make fortnightly visits to the local Inglewood Health hostel to interact with the community’s senior residents, and our Year 5-6 boys attend the local Men's Shed to undertake woodworking projects. We have a happy and safe school environment that fosters confidence and a sense of connectedness, and that encourages and supports all learners to perform at their best. We invite you to contact our school if you would like a tour or further information. The first school on this site was The National School, a one-room weatherboard building which opened in November 1861. Messrs, Irwin and Webb built the first four brick rooms in 1870. In 1871 it became a Common School with Mr M. Thompson as the first head teacher. Major extensions were undertaken in 1908 in preparation for its future role as a Higher Elementary School. The cookery and sloyd (carpentry) rooms were added in 1911 and the Kurting State School classroom was moved to this site in 1947. The Higher Elementary School reverted to State School status in 1982. Today's school is an interesting mixture of buildings dating back to 1870, with extensive renovations undertaken in 2009 as part of the Building an Education Revolution program, creating modern open learning spaces within the historical buildings.